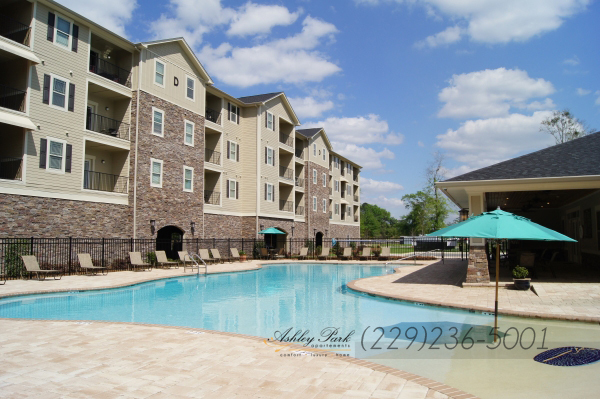 Ashley Park is a carefully planned luxury apartment community which opened September 2013. 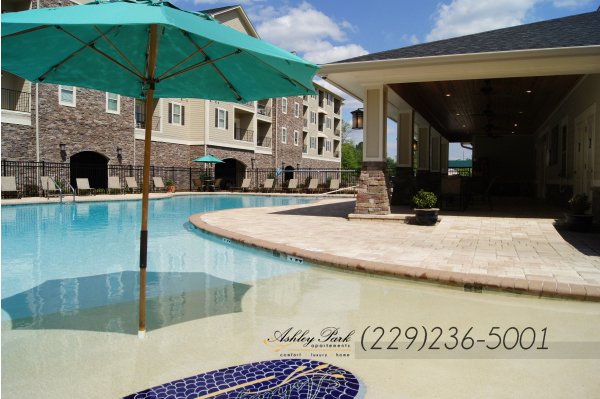 We provide amenities including: covered parking, resort-style saltwater pool, gated entry, elevator access, dog park and a custom playground. 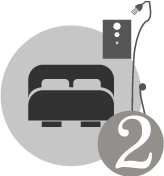 We offer modern luxuries with a southern charm. 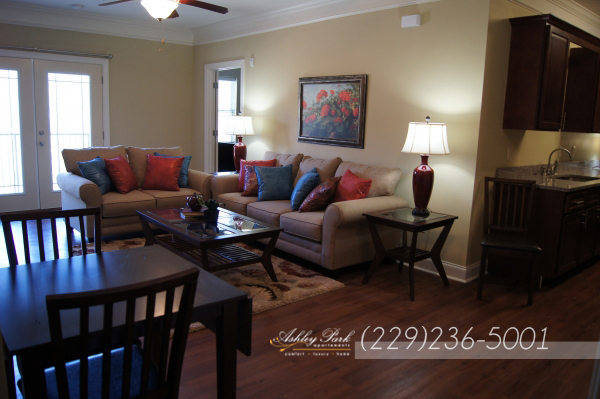 We feature spacious one, two and three bedroom apartment homes in a community unlike any other in the area. 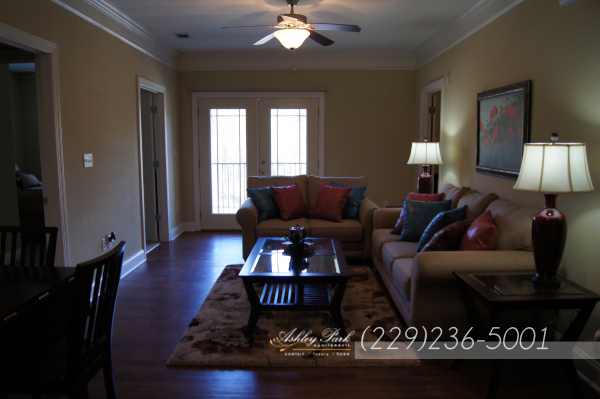 Our apartment homes feature hardwood floors, ceramic tile, granite countertops and state of the art security/fire suppression systems. 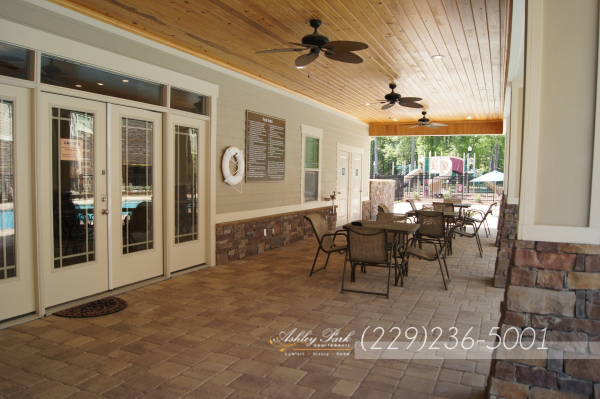 Located southwest on the 319 bypass we're a mere 30 miles from Tallahassee yet tucked away from the hustle and bustle. 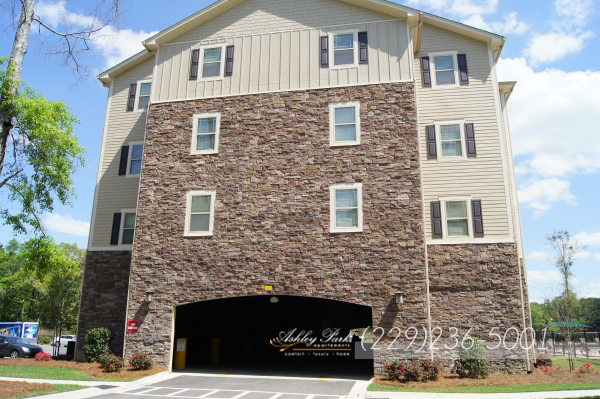 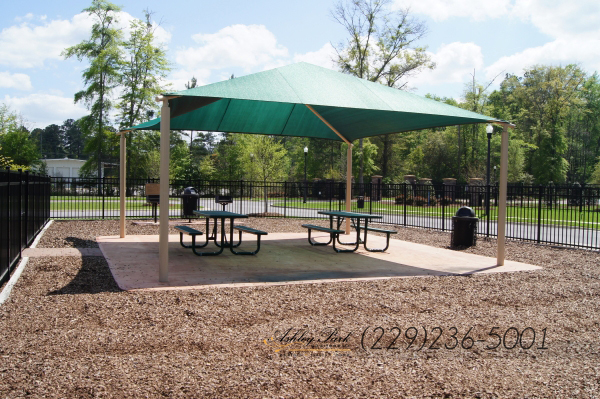 Ashley Park offers beautiful, brand new 1, 2 & 3 bedroom apartment homes for rent in Thomasville, GA. 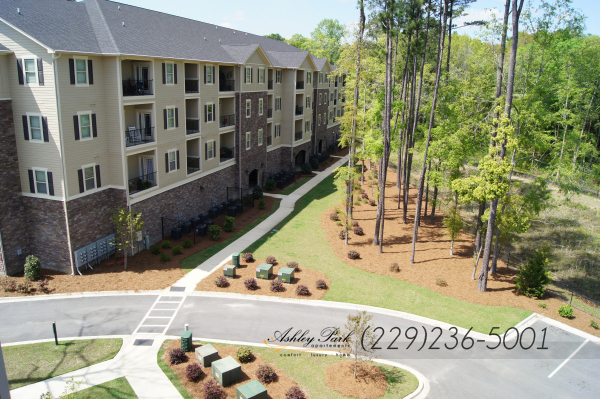 Complete with today's most in-demand features and finishes and a variety of spacious floor plans and layouts to best suit your lifestyle, you'll have everything you need to feel right at home.